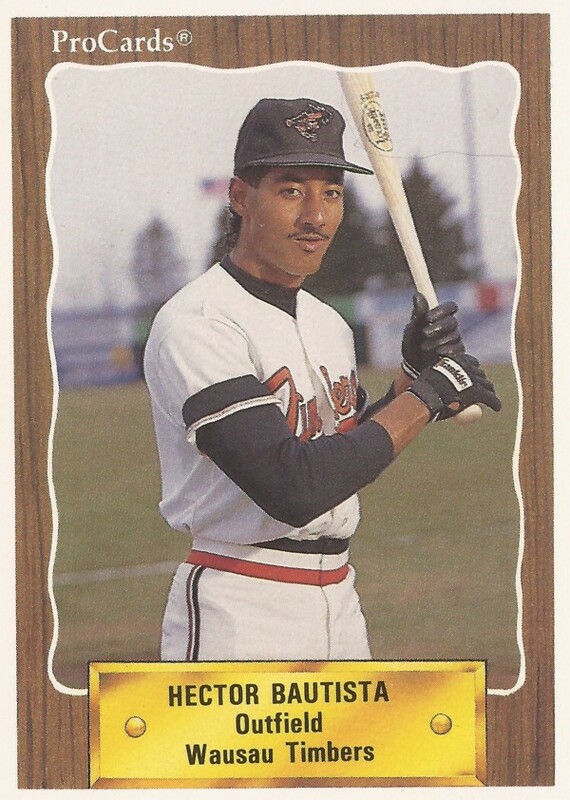 The Frederick Keys started 1989 with four outfielders, according to The Washington Post, one of them being Hector Bautista. Of the four, only one went on to make the majors. Bautista was not that one. Bautista's season in 1989 ended up being brief, just seven games. He played 32 games the next year, ending his brief four-season career short of AA. Bautista's career began in 1988, signed by the Orioles as a free agent out of his native Dominican Republic. He started with the Orioles between rookie Bluefield and short-season Erie. He played 46 games at Bluefield, hitting .288 and knocking in 20. At Erie, he got into 13 games, hitting just .191. Bautista then started 1989 at high-A Frederick, but he only got into those seven games. He picked up six hits in 22 at bats. He had four RBI. Bautista returned for 1990, playing at single-A Wausau. In 32 games there, he hit .223, hitting three home runs and getting 13 RBI. Those 32 games ended up being the last of his pro career.